SEOUL, Sep. 13, 2018 — LG Electronics (LG) is marking its second year as the official partner of the Evian Championship. 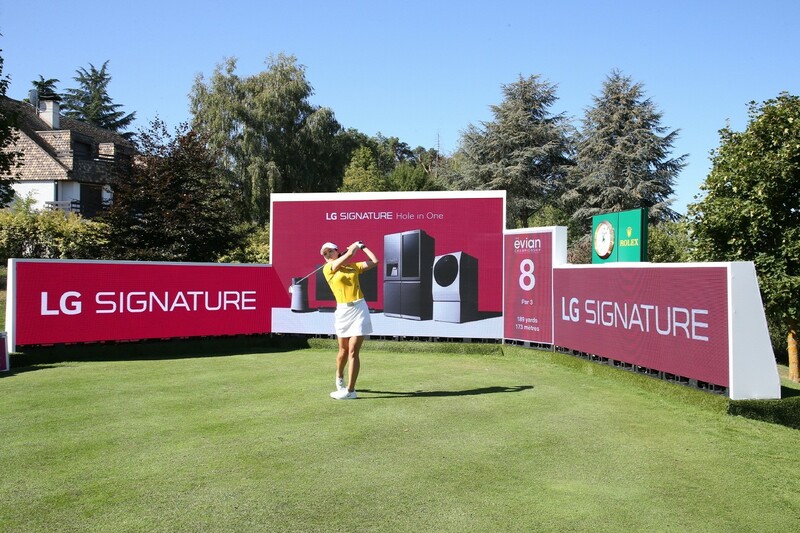 LG will be highlighting its sophisticated and classy LG SIGNATURE premium brand throughout the tournament, taking place at the Evian Resort Golf Club in Évian-les-Bains, France from September 13-16. The Evian Championship is one of five majors on the Ladies Professional Golf Association (LPGA) Tour, along with ANA Inspiration, KPMG Women’s PGA Championship, U.S. Women’s Open and Ricoh Women’s British Open. The popular tournament reaches a total audience of over 24 million viewers from 170 different countries. 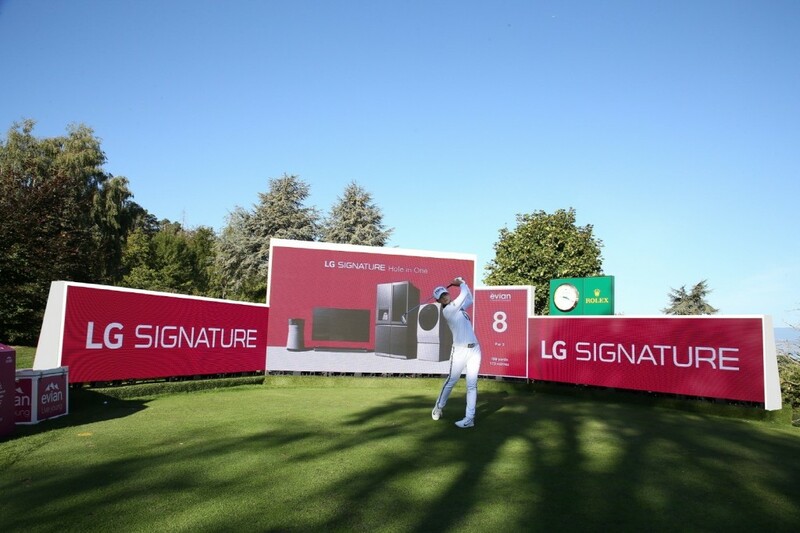 LG is designating the eighth hole of the golf course as the LG SIGNATURE Hole with LG premium appliances being awarded to anyone lucky enough to hit a hole-in-one on this hole. Fans can get in on the action by participating in an online drawing on the Facebook sites for LG SIGNATURE and Evian for chances to win golf memorabilia signed by the players. And no golf game is complete without good food and wine. To highlight the advanced technology and uncompromising design of LG SIGNATURE, European celebrity chefs Patrice Vander, Christopher Crell and Juan Arbelaez will show them preparing their favorite dishes using LG SIGNATURE appliances with LPGA golfers enjoying their ultimate creations. Foodies and golf fans alike can see the chefs in action at www.facebook.com/LGSIGNATURE.